Please take a few minutes and watch this short video highlighting all the quality of life improvements in our neighborhood. The Southwest Park, new open space at 1st and Jackson Street, getting our roads repaved, upgrading both pocket parks on Jackson & Jefferson Streets, the revitalization of Mama Johnson Field and our revamped Community Garden with a quick stop at Big Banner! I also highlight our challenges as we work together to move the 4th Ward Forward including the delayed traffic signal at the Light Rail crossing, the Redevelopment Plan for Southwest Hoboken, traffic on Jackson Street, and getting more of our roads paved. And of course we had to stop in Jack's Cabin and have their chicken and waffle sliders! 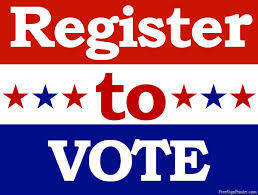 Today is the last day to register to vote for November's election. The Clerk's Office will remain open until 9pm in City Hall this evening for you to register. Please forward to any friends who may need to register.